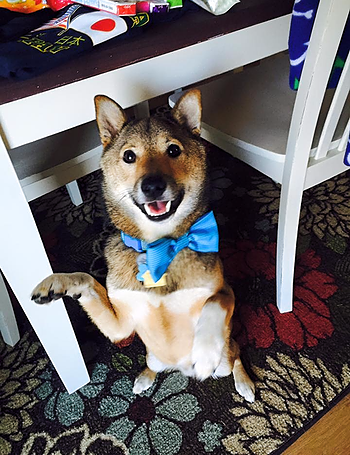 Meet Rio everyone- he is a 3-year-old Shiba Inu who spent the first year of his life in a very bad home until he was given away to my husband and me. Now he travels all across the country eating all of the cookies and biscuits he can while his daddy serves our great country in the Navy! His hobbies include ball stealing, cuddling, cookie eating, and attention hogging. Our many homes include Nashville, TN, Virginia Beach, VA, Whidbey Island, WA, and hopefully San Diego soon! - Andrea Logan, Puppy Mama in a Navy family... "We go everywhere - San Diego is Next!"